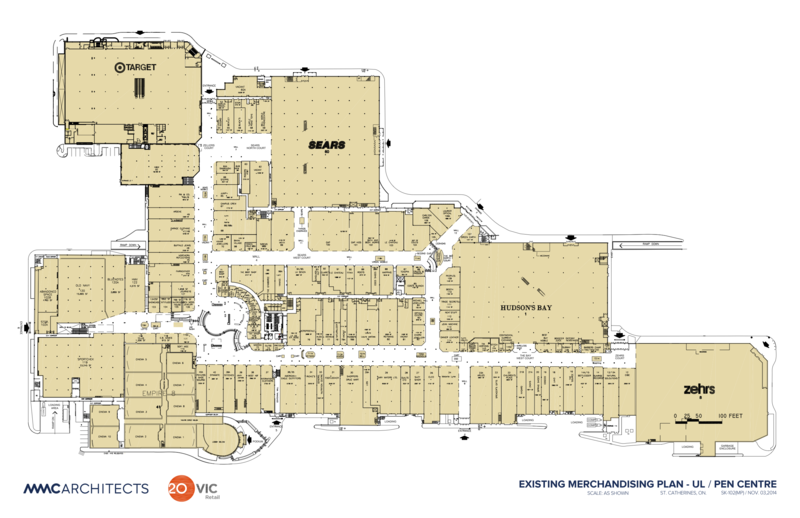 To create a shopper-friendly environment worthy of St. Catharines reputation as a premier shopping destination. The environmentally and shopper-friendly redesign was inspired by Niagara’s abundance of vineyards, parks, gardens and nature trails in St Catharines, known as “The Garden City”. A soft colour palette reminiscent of the region’s scenery evoked a sense of serenity, reassurance and simplicity in a family environment. 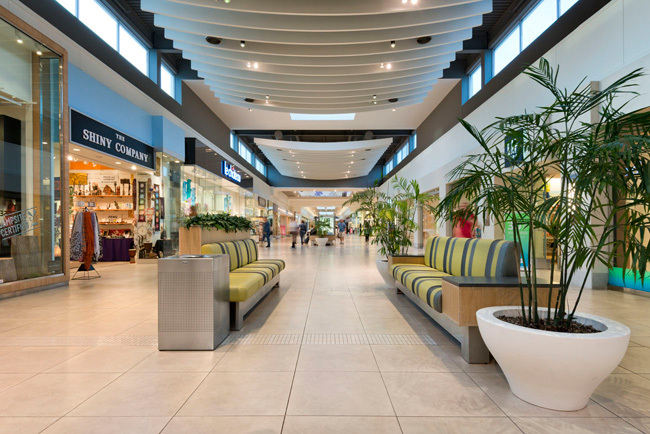 The renovation included the addition of three new skylights that significantly improved natural light levels throughout the mall. These, combined with the brighter energy-efficient lighting, transformed the visitor’s experience into one awash in daylight brilliance. 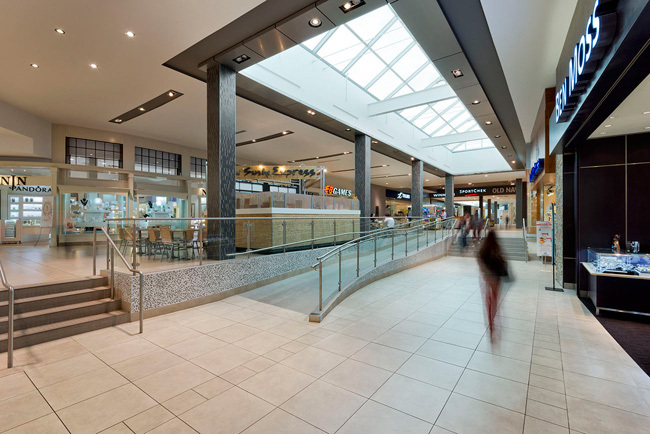 The three new large skylights added 3500 sq ft of natural light to the common area of the shopping centre. Improved air circulation and water efficiency, a recycling program, new computer systems and redesigned washroom facilities were additional renovation features. 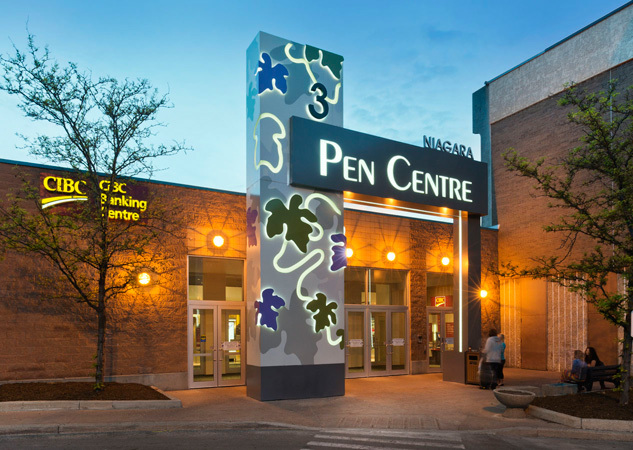 All seven mall entrances were refurbished with pylons bearing the new graphic brand identity of vineyard leaves, as were the new mall directory boards. A sleek concierge desk anchored one of the main courts. Entirely resurfaced common area floors, dramatic curved ceiling blades and cove lighting combined to alter the mall’s ambiance. 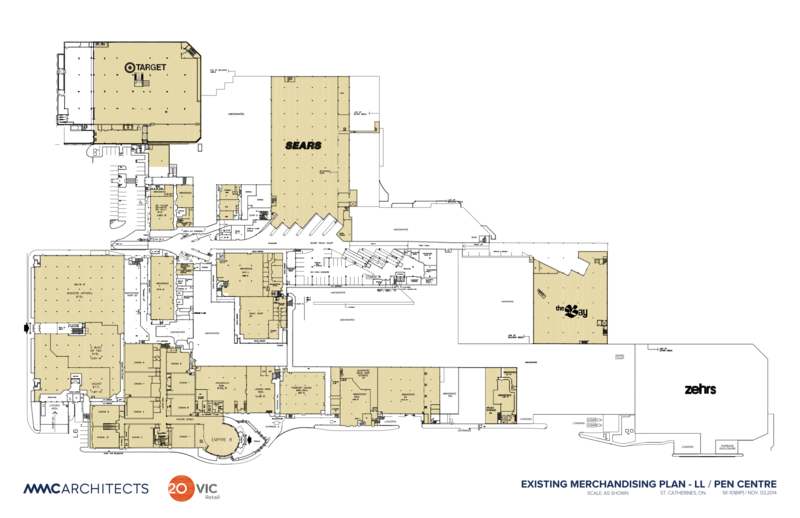 Columns were recladded and reduced in size from their original build-out in order to improve sightlines and improve the presence of retailers in the mall corridors. 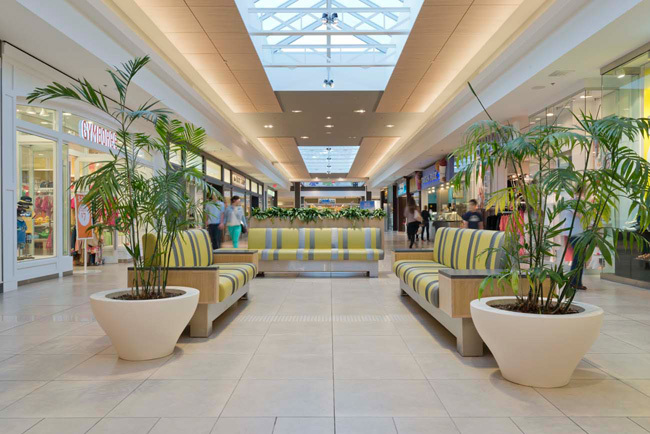 New soft seating throughout the mall, upholstered in a crisp green striped pattern, recalled the nature theme. 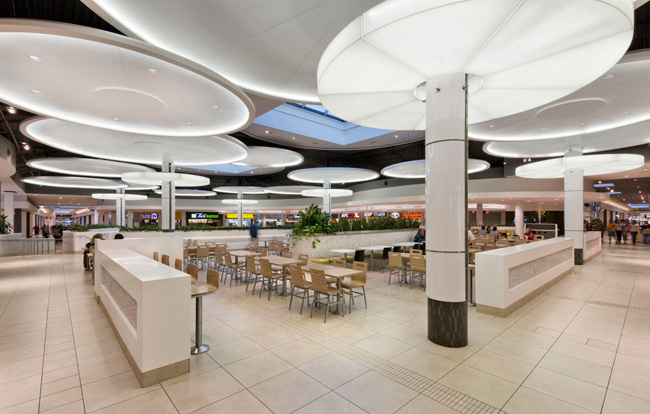 A completely redesigned food court was the crown jewel of the renovations.